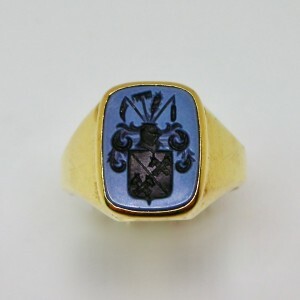 Seal ring in 18 carat gold with engraved family crest. Mid-nineteenth century. 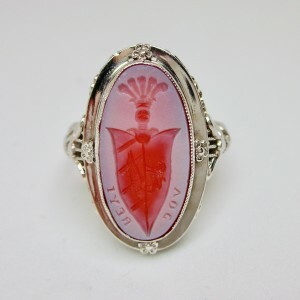 Size: 1.8 cm in height x 1.5 cm in width. 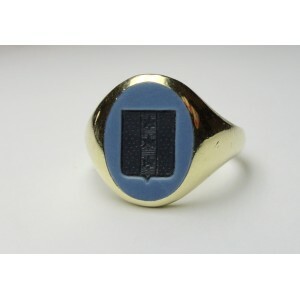 Particular seal ring in bicolour agate and set in 14KT gold. Probably of American provenance and from the beginning of the 1900's.